A recent study — part of a series of working papers published by the National Bureau of Economic Research — shows that having just one black teacher not only lowers black students' high school dropout rates and increases their desire to go to college, but also can make them more likely to enroll in college. According to the results, black students who have just one black teacher in elementary school are 13 percent more likely to enroll in college than their peers who didn't have any black teachers. Students who have two black teachers are 32 percent more likely to go to college. 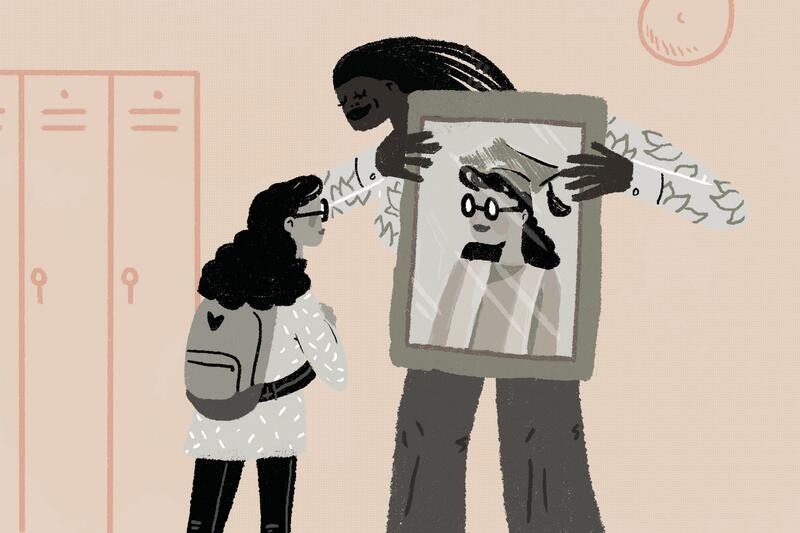 It's an update to a study NPR reported on in 2017 that found that black students who had just one black teacher could help them stay in school. With the addition of college enrollment data, the analysis shows that the impact of black teachers on black students reaches even further than researchers initially thought. "Over the past few years we have a lot of studies that have looked at the short-term outcome," says Constance Lindsay, a researcher at the Urban Institute and one of the report's authors. "This is the first study of its kind to show that there are long-run effects." The researchers say that one of the reasons for these long-term effects is that black teachers serve as role models for black students. Their presence gives students a tangible example of what educational attainment might look like and therefore something to aspire toward, such as going to college. Being a role model is an important aspect of teaching for Cristina Duncan Evans, a library media specialist in Baltimore City Public Schools. Part of the reason why she chose to work at her current elementary school, she says, is because there are more black faculty members than where she previously worked. "There are lots of role models that students can have," she says. "They have lots of examples of what it means to be a black professional." But that wasn't necessarily the case at her previous school, and she says that that's not the case throughout the district either. According to the BCPS website, just 40 percent of BCPS school teachers identify as African-American while the student population is close to 80 percent African-American. Duncan Evans hopes that can change. She's one of the founding members of the Baltimore Movement of Rank-and-File Educators (BMORE) — a caucus within the Baltimore Teachers Union. One of the organization's goals is to recruit and retain more black educators in Baltimore's public schools. And they're not alone. Organizations, programs and initiatives such as BMORE are popping up across the country to address the lack of black educators and educators of color. The study does come with a few caveats: many students enrolled in community colleges or two-year programs, which aren't quite as lucrative as a four-year degree. And the researchers don't have any conclusions yet about how same-race teachers might impact students' college degree completion. But they add their work to a growing body of research that shows the benefits of same-race teachers for black students. And Duncan Evans agrees. "If we're going to inspire the next generation of black educators," she says, "then we need black teachers to do that."